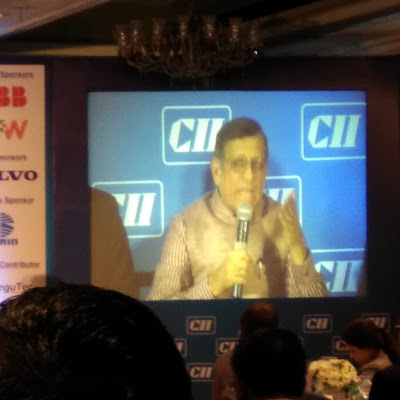 MUDRA (Micro Units Development and Refinance Agency) was brought in to address the issue of financial assistance to small and medium enterprises and is a potential game-changer for the economy, however, the RBI put a brake saying banks have no money to lend, said S Gurumurthy, Economic Analyst and Columnist. Addressing the Confederation of Indian Industry (CII) Annual Members Meet 2017 he said now that money is there, MUDRA will also work. This will be the extended benefit for the Informal sector, as we all know, contribute 50 per cent to the GDP and 90 per cent to the total employment. Gurumurthy while addressing the topic on the Economy Fast Forward - Demonetization, GST, Budget 2017 and Digital India in Bengaluru he says that SMEs sector are the ones taking the maximum hit now. I’m not saying there have been no problems during the demonetisation drive, and there was a miscalculation on the nature and extent of problems. It is more than possible that the RBI may have thought printing 6-7 lakh crore currency would have been enough because it was expected that only Rs 10 lakh crore would come back to the system. This kind of mis-judgement may have happened. But, the fact is that this measure definitely will help change the course of economy from speculation to real growth and from asset appreciation to productive growth. 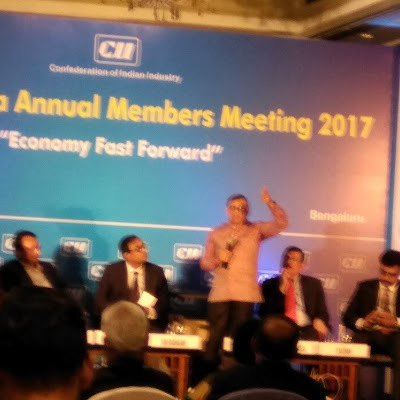 Others who spoke at the event include Vikram Kirloskar, Vice Chairman, Toyota Kirloskar Motor Pvt Ltd and Ravi Raghavan, Chairman, CII Karnataka State Council.